EverBase 2 is a modular, interlocking, general purpose flooring system. It can be used for a variety of applications at all types of venues and facilities. The EverBase 2 tile is an 18" x 24" flooring tile that interconnects with adjacent tiles to create a seamless floor surface and a solid support base for all types of activities. From on-field concerts to tent flooring at events and from shelter flooring to exhibition flooring, the EBF2 is the workhorse of the EverBlock Flooring line. Light Grey standard on Solid Top (ST Version). Translucent and Light Grey standard for grass protection (DT Version). 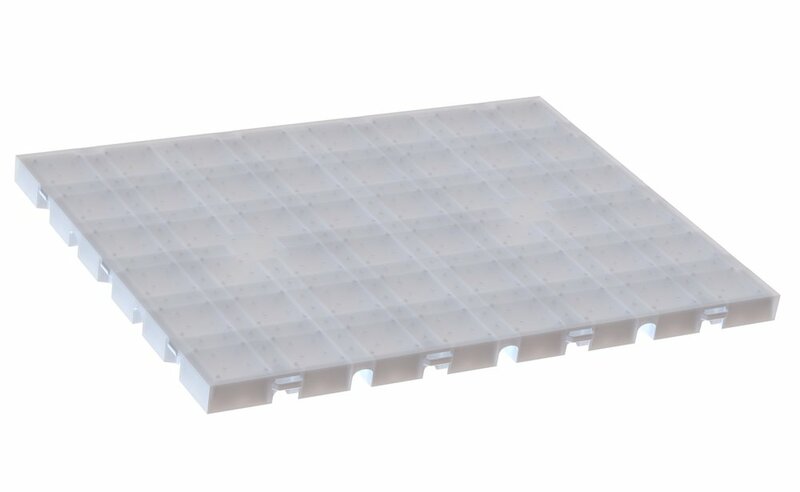 Contains a bottom plastic layer that encloses each flooring module for greater insulation. EverBase 2 may be used for numerous applications. Module Weight with Pallet: 1106.80 lbs.